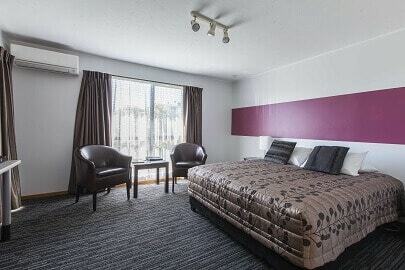 Welcome to Argyle on the Park – Christchurch Motel Accommodation close to Horncastle Arena and AMI Stadium, conveniently located on Deans Avenue near the City Centre overlooking beautiful Hagley Park. You can enjoy a short walk through Hagley Park's Botanic Gardens to Cathedral Square and city. Visit the Museum, Arts Centre, Art Gallery and ride the Christchurch Tram on the way. Restaurants and convenience store within 100 metres. 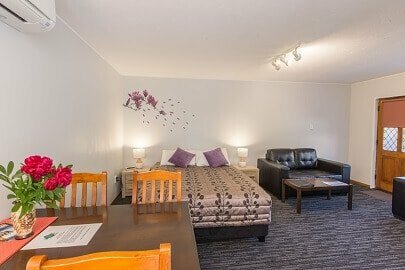 Our motel is an ideal choice for both the business traveller wanting corporate accommodation, and families on holiday who wish to explore Christchurch. 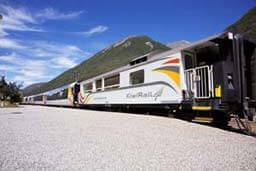 Only two-minute drive will take you to Christchurch Railway Station – the gateway of the popular TranzAlpine train journeys (We offer Free transfer to all our guests who travel on TranzAlpine train). 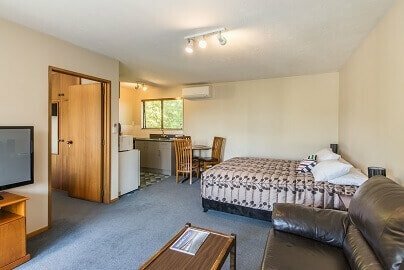 Our motel located just minutes from Riccarton Westfield Shopping Mall, movie theatres, supermarkets, banks, and a diverse range of restaurants, bars and cafés. We can also provide accommodation for Christchurch Hospital patients who are waiting for the hospital admission. With twelve spacious and comfortable studios and one bedroom suites to choose from, we have a range of options to suit your requirements. You can ensure that by choosing us as your accommodation provider, your stay in “The Garden City” is relaxing and enjoyable. 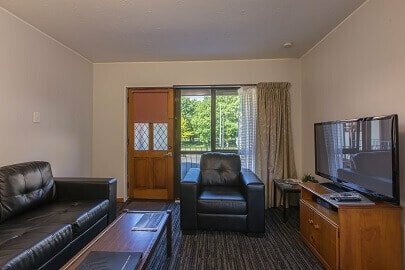 All units in our Motel fully equipped with kitchen facilities, Plasma TVs with 50+ SKY channels, Mitsubishi Air Conditioner/Heat pump, Fridge, Microwave, Complimentary Tee and Coffee. Comfortable, recently upgraded beds in every room for you to enjoy. Every guest also receives a welcome basket with some goodies and complimentary milk on the arrival day. Large Studio with 1 King size bed. We have two units of this type. One bedroom with 2 Queen size beds. One bedroom with 2 Queen size and 1 Single size beds. One bedroom with 1 King size and 1 Single size beds. One bedroom with 1 Queen size and 3 Single size beds. We have four units of this type. Christchurch Motel Accommodation near Train Station: Enjoy one of the world’s most famous train journeys. Argyle on the Park motel located near the Train Station with Free Shuttle service provided for TranzAlpine train only. Christchurch Accommodation Motel near Horncastle Arena - one of New Zealand’s largest indoor entertainment venues. Argyle on the Park motel located near the Horncastle Arena. 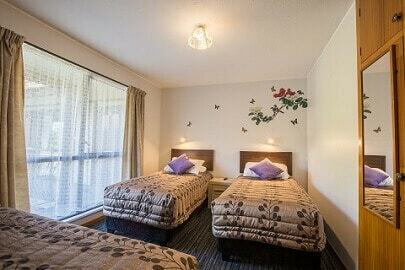 Christchurch Motel Accommodation near AMI Stadium - Best known as the home of Canterbury rugby. Argyle on the Park motel located near the AMI Stadium. 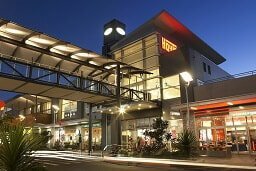 Christchurch Accommodation Motel near Westfield Riccarton Shopping Mall - New Zealand's third-largest mall with big viriety of shops and cafes. Argyle on the Park motel located near the Westfield Riccarton Shopping Mall. Christchurch Motel Accommodation near Abell Rentals - The Christchurch car, truck minibus and convertable hire specialists. Argyle on the Park motel located near the Abel Rentals. Check OverseasAttractions.com to find the most popular attractions and places to visit.